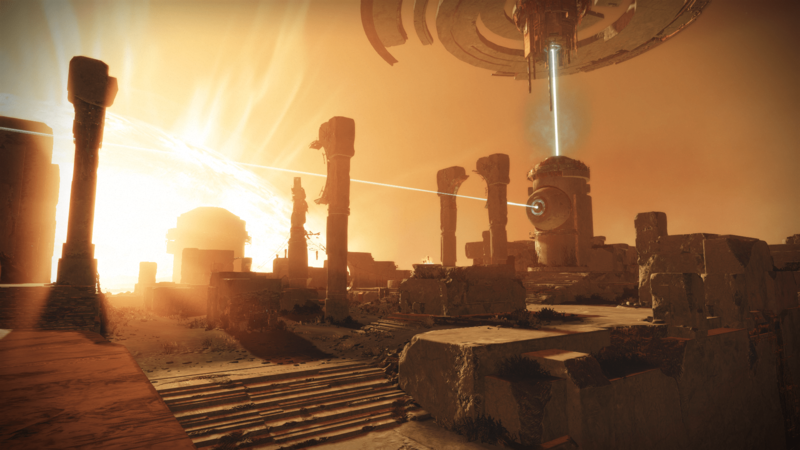 The Curse of Osiris Expansion for Destiny 2 goes live on December 5! I heard it's sunny over at Mercury. If you’re like me, then you’ve probably played Destiny 2 to bits ever since launch, chewed through all of the content, and even given the raid boss something to think about. We kept asking “what’s next” and “where is the new raid” and hey, Bungie has been listening and just a few hours ago at the Sony Playstation Press Conference over at lovely Paris, our prayers have been met with a blazing response as the first expansion has been officially revealed in this fast paced trailer! Now let’s break that down a bit. If you’ve played Destiny 1, you know that each expansion brings a new storyline and more often than not, a new raid. This time around, it explicitly said raid content, so it could either mean a new raid altogether, or just some additions to the current leviathan raid. Additional cosmetics? Challenges? Your guess is as good as mine. You’ll notice from the trailer that a couple of exotics from the previous game look to make a return. Did any of you notice the Jade Rabbit and the Telesto? There’s also a weapon that’s similar to the Coldheart that fires a solar based blast, falling into the Osiris / Mercury theme. While the new social space, new strikes, and missions are welcome, it would be interesting to see how Bungie addresses the seemingly shallow end game content that the game has now. The Leviathan raid was supposed to be a challenge that gave players something to accomplish every week but more experienced fireteams have been breezing through it in style. December 5 is when the new expansions drops and is a month away from now but until then, the community waits with bated breath as to how this all plays out. Here’s hoping that Osiris can give us something to cheer about when Mercury arrives but in the mean time, help yourself to the gorgeous new screens from the new content below! Previous articleCall of Duty takes the ESGS Spotlight for its November 3 Release! Next articleExperience a different kind of zombie apocalypse in Gakkou Gurashi!